Insurance fraud is prevalent in Ontario. In particular, car insurance fraud is a big problem. Fraudulent activity is one of the leading causes of high car insurance rates. It’s estimated to cost the insurance industry about $1.3 billion a year in Ontario. Auto insurance fraud cases, the cost of accident injury claims, and abuse of the system all contribute to rising insurance costs. 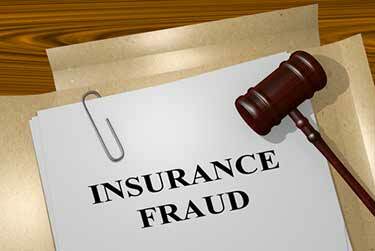 Insurance fraud is the intentional or unintentional act of deceiving an insurance company for financial gain. Committing insurance fraud includes providing false information, falsifying documents, and submitting false insurance claims. Fraud not only impacts the victims of fraud and insurers, it impacts all drivers by increasing car insurance rates. It is illegal in Ontario and all other provinces and territories in Canada. Ontario car insurance fraud is a serious issue. Car insurance fraudsters work together to deliberately deceive insurance companies using a variety of car insurance scams and schemes. “Auto insurance fraud is a multi-billion dollar problem where criminals may indiscriminately target unsuspecting victims on the road. Recognize the red flags that suggest fraud,” says the Insurance Bureau of Canada. Recognizing and reporting fraud is the first step to help lower car insurance rates. If you suspect fraud, you can make an anonymous call 24/7 to 1-877-IBC-TIPS (422-8477). There are a number of common auto insurance fraud situations – staged collisions, fake car accidents, fake damage, fake injuries, stolen cars, vehicle dumping, and providing false information. It’s not just car insurance fraudsters who commit fraud; some drivers may even be committing insurance fraud without knowing it. Even something as simple as providing inaccurate information could get you a call from an insurance fraud investigator. There are many ways to stage a car accident. This is one of the most common scams used by insurance fraudsters. A staged collision is when another driver may signal or wave for you to take some sort of driving action, like making a left turn through traffic or turning through an intersection. The driver will then intentionally collide with you and cause an accident, then deny that they gave you the right of way. 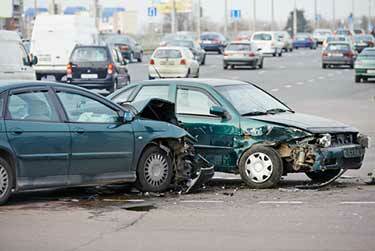 Fraudsters will then file a fake accident claim and profit from the collision. The different types of staged collisions involving innocent victims are one of the most common forms of auto insurance scams. This type of car insurance fraud involves the owner of a vehicle dumping, deserting, or leaving their vehicle somewhere and then claiming it was stolen. Some vehicle owners will sell their vehicle and then claim it was stolen after the fact to receive an insurance payout. This form of auto insurance fraud involves registering your vehicle to an address or area that is known to have lower car insurance rates than where you actually live. Where you live is one of the many factors that impact your car insurance rates. This is considered car insurance fraud for a wrong address. This involves claiming fake or pre-existing injuries were caused by an accident to get the insurance company to pay for medical treatment. For example, if you had a pre-existing neck injury prior to getting into a car accident and then claimed the cause of your neck pain was the accident, you are committing insurance fraud. 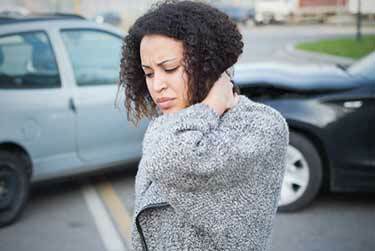 You may be tempted to include pre-existing damage to your vehicle in your claim if you have an accident. This is fraud. Lying about how the damage or loss happened is also fraud. What Is The Punishment For Insurance Fraud? Denial of claim : The claim in question will be denied. Cancellation : You could have your insurance policy cancelled. Increased rates : You will pay higher car insurance premiums in the future. High risk : You could be considered a high risk driver. Trouble getting insurance :You could be denied car insurance coverage in the future. You could also face jail time for insurance fraud. Car insurance fraud prevention starts with you. It’s not only about avoiding car insurance fraud scams, it’s about being honest and truthful when filing insurance claims. Understand fraud : Make sure you are clear on what is considered auto insurance fraud. Be honest : Never knowingly provide false information to your insurance company or when filing insurance paperwork. Ask : If you are not sure, you are better off to get professional advice from an insurance broker. 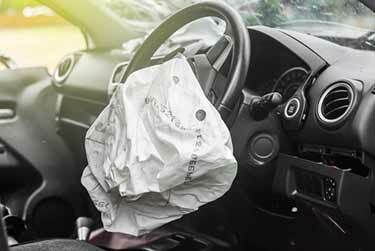 Keep detailed records : If you are involved in an accident, take accurate notes and photos. Be Suspicious Of Strangers Making Referrals : Contact your insurance broker or company if you suspect anything suspicious, like strangers referring you to medical professionals, body shops or legal representatives. Use Professionals You Trust : Go to medical or legal professionals who you know or are referred to you by someone you trust. Keep Track Of Your Claims Records : Be involved in your claim and keep track of all the records, bills and statements to ensure that they are accurate and only include the services or treatments you received. Understand what your final settlement includes and all the associated costs. Pay Attention To What You Sign : Don't sign any blank or empty forms or documents. Fraud rings know how to commit car insurance fraud. They know whom to target, how to circumvent insurance rules, laws, and regulations, and how to profit from fraud. Fraud rings involve a group of people who work together to commit popular insurance scams and fraudulent activity. These scams can be complex and involve dozens of people. 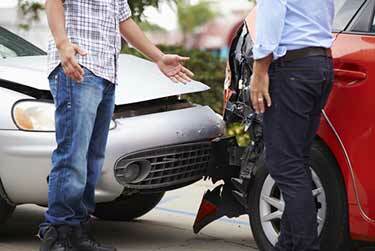 Always be cautious when receiving advice from unsolicited parties after an auto accident. If something doesn’t seem right, you might have been a target of auto insurance fraud. How Does Organized Car Insurance Fraud Work? The video starts out showing a man leaving court, attempting to hide his face. This Scarborough, Ontario man, it’s revealed, received a sentence of 3 ½ years in a federal penitentiary, plus a $375,000 “freestanding restitution order” for the crime of insurance fraud close to two years ago. The behaviour to which he’s referring is car insurance fraud. “Most of this involves organized crime. Most of these are fairly structured rings that involve multiple individuals,” Mr. Dubin states. The video featuring Mr. Dubin then goes on to show how a central recruiter involves a tow truck, body shop, and medical clinic or rehab facility, with the recruiter taking kickbacks from all of these individuals. Even more significant costs come from completing fraudulent accident benefit forms that can include housekeeping, caregiving, income replacement, assessment and treatment plans, possibly with the assistance of a paralegal. If you suspect insurance fraud, you are asked to call 1-877-IBC-TIPS. Additionally, suspected fraud can be reported on the IBC website. Learn more about Car Insurance Crime and Fraud at the IBC website.